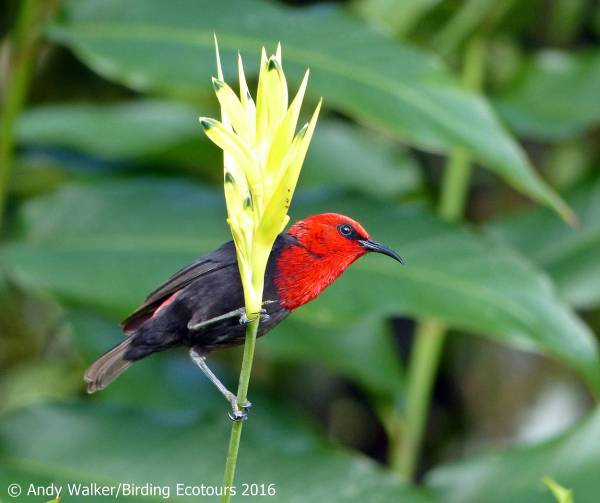 This October Birding Ecotours tour leader and guide Andy Walker led a custom Pacific Tour around New Caledonia, Fiji, and Samoa. This custom tour followed our scheduled departure Pacific Tour itinerary, and the 2017 itinerary can be viewed here. The trip report is now online and can be found here. Below, Andy summarizes the trip and provides a few photos. Please visit our tour page for many more photos. We had a great tour around several Pacific Islands this October. First stop was Grande Terre, the largest island in New Caledonia and home to plenty of endemics, several of which are totally astonishing, like Kagu, Cloven-feathered Dove, Horned Parakeet, and the tool-using New Caledonia Crow. These are some of the most interesting, beautiful, and bizarre birds on our planet, and we enjoyed taking pictures and observing them all at length. We also enjoyed spending time with numerous other endemics, such as New Caledonian Whistler, Yellow-bellied Flyrobin, Crow Honeyeater, White-bellied Goshawk, New Caledonian Myzomela, and Red-throated Parrotfinch. Our second destination was Fiji. We spent time on three islands: Viti Levu, Vanua Levu, and Kadavu. 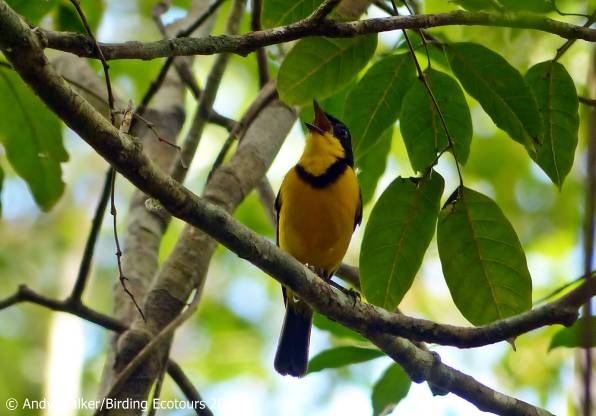 Here we experienced real Fijian culture and weather and an assortment of exciting birds. 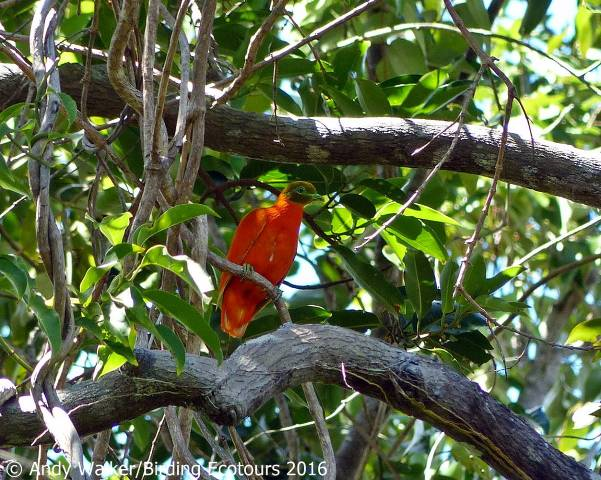 Endemic parrots were a big draw with Masked Shining Parrot, Maroon Shining Parrot, Crimson Shining Parrot, and Collared Lory all spectacular birds. 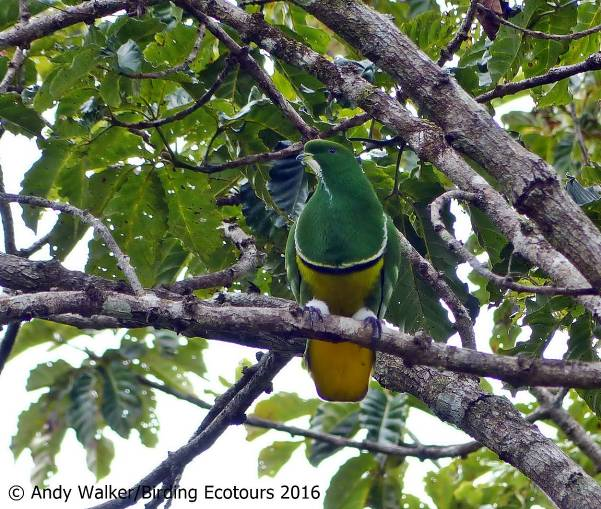 However, the shining parrots were outshone by the totally outrageous fruit doves with the following all seen well: Golden Fruit Dove, Orange Fruit Dove, Whistling Fruit Dove, and Many-colored Fruit Dove. It wasn’t all about the doves and parrots, though, with loads of other endemics seen well: Azure-crested Flycatcher, Vanikoro Flycatcher, Fiji Whistler, Sulphur-breasted Myzomela, Black-throated Shrikebill, Fiji Goshawk, and of course one of the main Fijian targets – Silktail. Our final stop was a brief one on Upolu, Samoa, where we found some very nice birds during our short stay. Flat-billed Kingfisher was a big target, and we got good views of several birds. Other highlights included the showy Crimson-crowned Fruit Dove, Cardinal Myzomela, Blue-crowned Lorikeet, Pacific Robin, Mao, Samoan Whistler, and Red-headed Parrotfinch. It was also hard not to enjoy the sight of Buff-banded Rails walking around gardens and roadside verges out in plain sight and totally abundant! Also while on Upolu we saw the graceful White-tailed Tropicbird and White Terns displaying over forests we were birding in along with a constant stream of Brown Noddies passing overhead taking a shortcut across the island. All very spectacular! There is a lot of work to do on the taxonomy of many species in the region. Recent updates from BirdLife International hint at many proposed splits; however, we used the IOC taxonomy for our tour and so will have to wait whether any of these are accepted by the IOC. 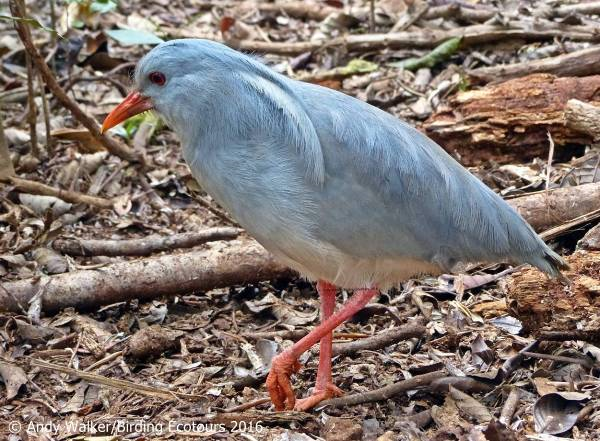 We saw several subspecies across different islands in Fiji or the wider region, and many of these may be elevated to full-species status in the near future. 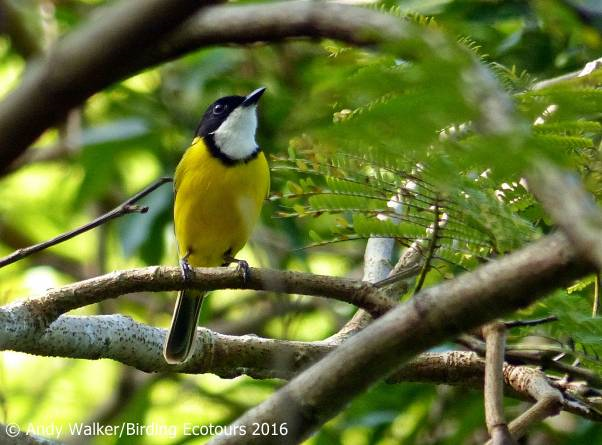 Examples that spring to mind include the Fiji Whistler complex – we saw at least three very different subspecies on the Fijian islands we visited (these looked and sounded very different to each other – see the photos below of two of the three subspecies we encountered, one from Vanua Levu and one from Kadavu). Similarly, the Streaked Fantail on Grande Terre (New Caledonia) looked and sounded very different to those seen on Viti Levu and Vanua Levu (Fiji)… just some food for thought. The trip list in the Trip Report is broken down to subspecies level so that we can keep track of any potential armchair ticks that may arise in the future! Fiji Whistler – (P. v. kandavensis) from Kadavu Island, Fiji.